This exhibition explores the intersections of art and the environment with works drawn from the Museum’s permanent collection. Featuring objects from antiquity to today, "Material Resources: Intersections of Art and the Environment" examines artists’ dependence on Earth’s material resources, while presenting art as an integral “material” resource in the study of the environment. 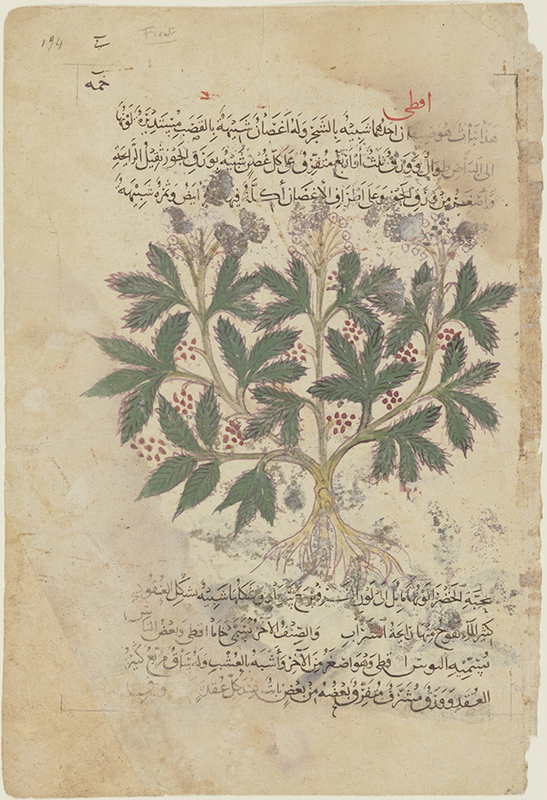 Turkish, "Discorides Materia Medica," 1200, ink and gouache. Bowdoin College Mueum of Art. 1962.29. 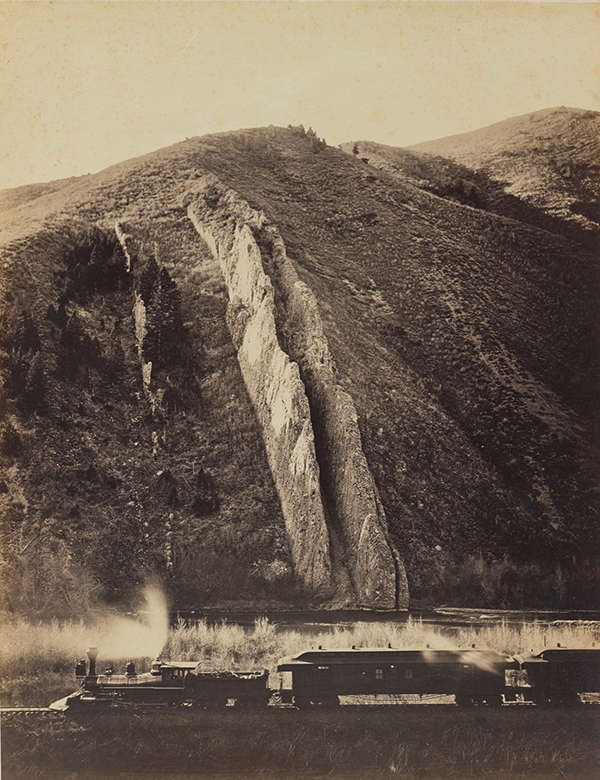 "Devil's Slide Utah, U.P.R.R.," 1873–1874, albumen print by Carleton Emmons Watkins. Gift of Isaac Lagnado, Class of 1971, in honor of Professor William D. and Alison Shipman, Bowdoin College Museum of Art, Brunswick, Maine, 1991.111. 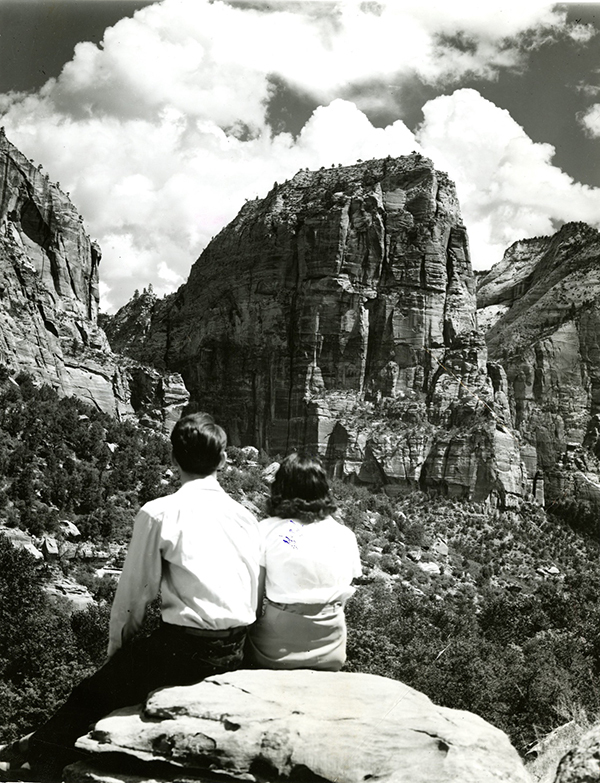 "Mr. and Mrs. George Rink, Zion National Park, Utah, September 16th, 1945," gelatin silver print, by an unidentified artist. 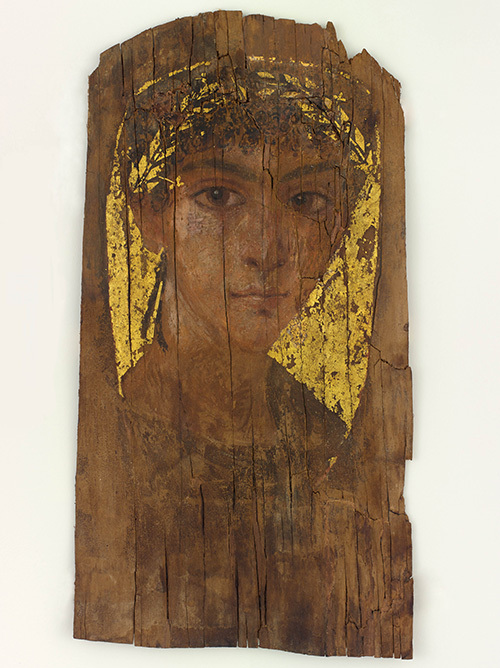 Gift of Isaac Lagnado, Class of 1971, Bowdoin College Museum of Art. 2011.68.31. This exhibition explores the complex intersections of art and the environment in the Bowdoin College Museum of Art permanent collections. Showcasing objects from antiquity to today, Material Resources: Intersections of Art and the Environment examines artists’ dependence on Earth’s material resources over millennia, and questions how the production of art objects impacts interconnected environmental, political, and social ecologies. Investigating the related histories of living organisms, the environment, and art objects, Material Resources presents art as an integral “material” resource in the study of the environment.